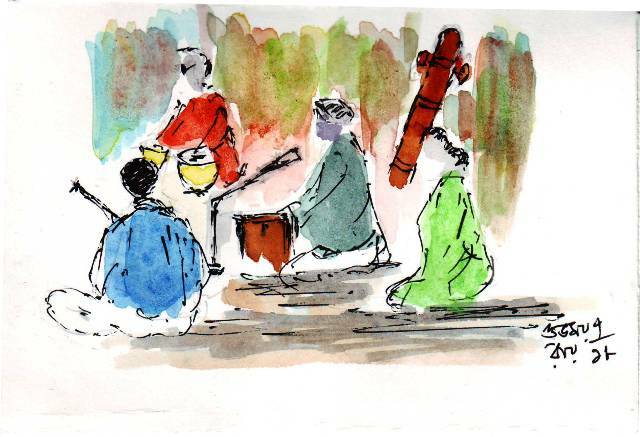 Line and wash sketch of an Indian musical soirée. The singer is playing the harmonium, while the accompanying musicians play the tabla (a percussion instrument), the veena and a violin. 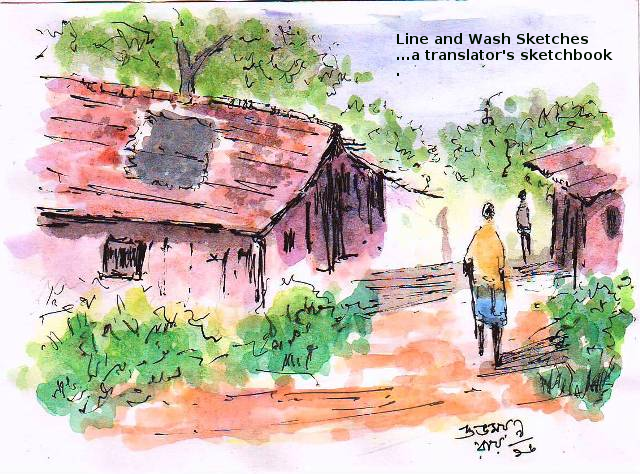 The drawing is done with Rorito Racemax black gel pen and Camel Artists’ Water Colour paints. 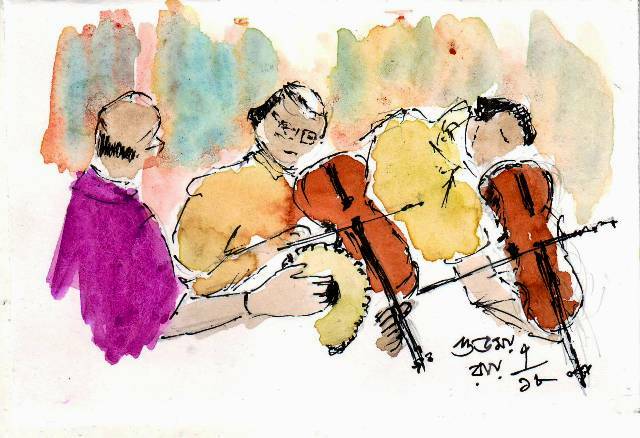 Then we have two Indian violinists and a Mridangam player…. 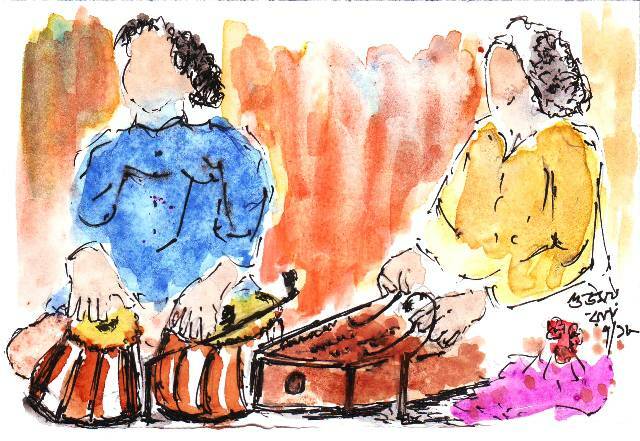 Sketch of two musicians playing the tabla and the santoor…. 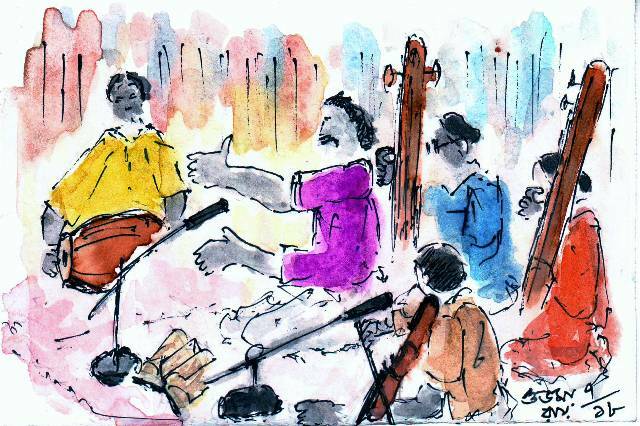 Line and wash sketch of a musical event in which a hindustani classical singer is performing….